Filipino Americans in Chicago donate computers and books to build a computer lab and library to help students in Iligan City, Philippines. 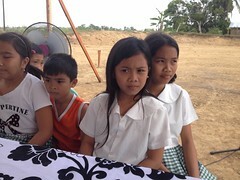 Vivian and Max Balagtas led the charge by donating a laptop computer, DVD player, DVDs and computer accessories to the planned computer lab at a high school in Iligan City. Vivian and Max’s generosity contradict the growing cynicism that abound recent news and politics. I think that their humble act of philanthropy proves that the sincerity of helping others will win against the tide of growing skepticism. Bayanihan (community giving) is alive and well. Vivian and Max Balagtas are not alone in their generosity. Many other everyday citizens are proving that they can make a difference. Chica de Jesus, owner and proprietor of Chica Hair Salon also donated another laptop computer for the computer lab. For the last 15 years, I have had my haircut at Chica Salon. Chica made a point to help others. Helen Tulen, long-time leader of the Iligan Lanao Association of the Midwest recently donated over 80 books and magazines for the Iligan City Central High School. In 2014 and 2015, Helen helped mobilized her hometown compatriots from Iligan to donate over 1,000 titles of books and magazines to build the high school library there. Earlier this year, my partner Will Dix; my graduate student Jennifer Fieten from Loyola University Chicago; and Jeselle Santiago, NEXTGEN 2015 Fellow collected and donated books for the Iligan City schools. Their acts of generosity of belie the growing cynicism. The acts of giving and philanthropy from everyday citizens like Vivian, Max, Chica, Will, Jennifer and Jeselle prove that the sincerity of people helping others will win the day. Do you have a gently used desktop, laptop, books and/ or computer accessories you would like to donate? Please contact me at dale@fdnbayaynihan.org or call at (773) 273-9793 and join the fight against cynicism and make a stand for optimism and hope and helping others. The spirit of Bayanihan (community giving) is alive and well. This entry was posted in Diaspora Donors, Diaspora Giving, Education, Philippines and tagged bayanihan, community involvement, Diaspora Donors, diaspora giving, diaspora philanthropy, giving, philanthropy, Philippine giving. Bookmark the permalink.